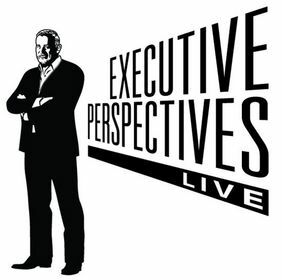 NEW YORK, NY--(Marketwired - Nov 16, 2016) - Executive Perspectives Live, one of the top online business shows on C-Suite TV, has announced its November programming. Executive Perspectives Live will feature one-on-one interviews with Sudhir Kulkarni, President, Digital at Persistent Systems and Neal Campbell, Senior Vice President, Strategic Solutions and Services at CDW. Sudhir Kulkarni, President, Digital at Persistent Systems, believes there has been a fundamental shift in business relating to digital transformation and that software is the driver for most, if not all, things business. Kulkarni says that companies are internally changing how they take a product to market and most of that process is driven by software. It's not just about selling to companies anymore, but changing the nature of how they do business. He believes that the digital transformation of enterprises has taken root and the fundamental shift that has taken place also affects the way companies engage with their customers, but there's always risk. While c-suite executives don't want to deal with risk, Kulkarni says risk and compliance are two things to think about when looking at cloud-based software and products. He adds that continuous transformation means companies are staying ahead of the game at all times; if not, they risk being ten steps behind. Kulkarni said, "Yesterday's world is not going to be tomorrow's world." Neal Campbell, Senior Vice President, Strategic Solutions and Services at CDW, talks about the importance of mobile technology and how it's key to have agnosticism in technology. At CDW, they have a large tech organization -- about twenty-five thousand, from product specialists to solution architects. Campbell says the winning formula is having technology teams that are well-versed across a variety of products in regards to mobility and that, once again, software plays a big role in how companies are dealing with this shift. Campbell states, "Mobile is an extension of your enterprise," but that the ultimate goal is understanding the customer. Trying to understand the customer, both on the product solutions side and the marketing side, helps with scalability. "This month's episodes are tailor made for B2B enterprises. Whether you're in the product engineering industry or manage a P&L, the fact remains that both digital transformation and mobile have had a significant impact in the way we do business," Hayzlett said. "Sudhir talks about how innovation is equal to digital transformation in today's world and Neal talks about people underestimating the power of culture. I always say, 'culture eats strategy for lunch.'" C-Suite TV is a web-based digital on-demand business channel featuring interviews and shows with business executives, thought leaders, authors and celebrities providing news and information for business leaders. C-Suite TV is your go-to resource to find out the inside track on trends and discussions taking place in businesses today. This online channel is home to such shows as C-Suite with Jeffrey Hayzlett, Executive Perspectives Live and Best Seller TV, and more. C-Suite TV is part of C-Suite Network, the world's most powerful network of C-Suite leaders. Connect with C-Suite TV on Twitter and Facebook.